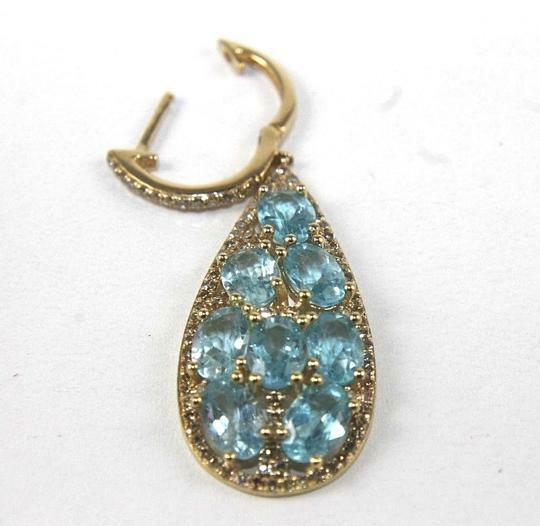 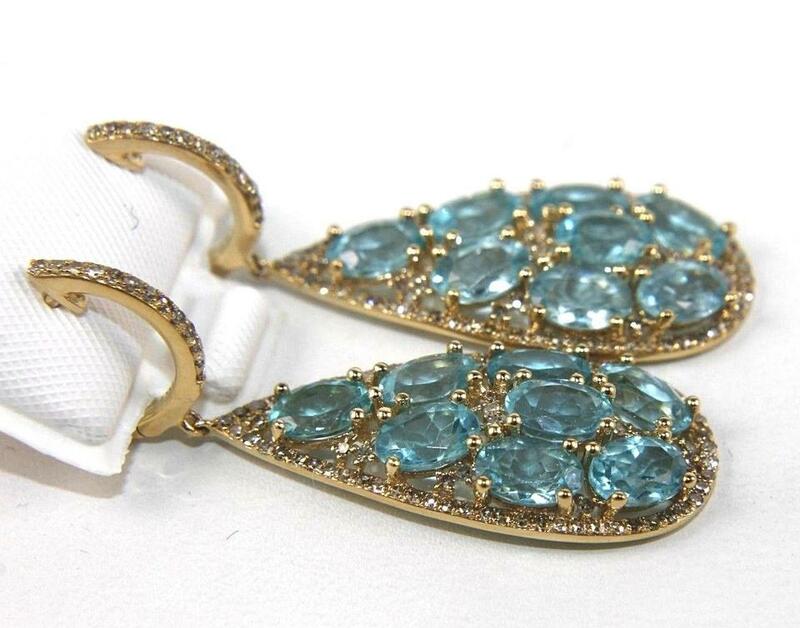 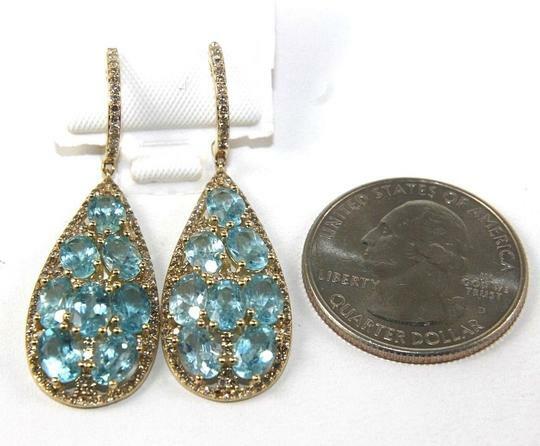 These are Fine Oval Aquamarine & Diamond Drop Dangle Earrings. 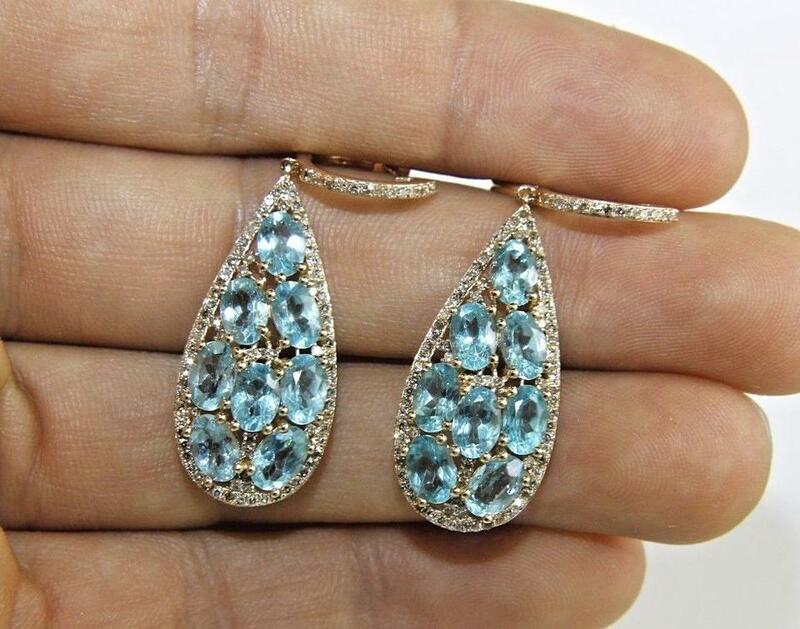 They are made of 100% natural 14kt yellow gold and are in Brand New Condition. They have a CTW of 8.56Ct (7.70 Aquamarine/ .86 Diamond and weighs 7.1 grams. 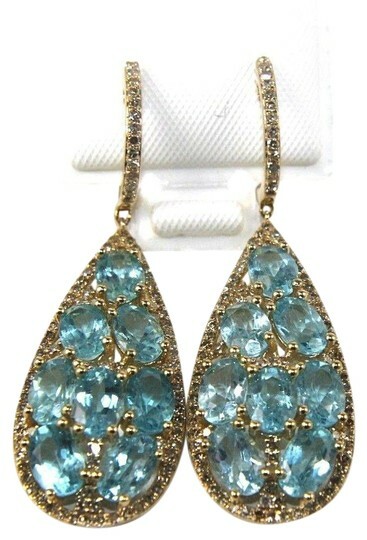 The diamonds have a SI2 clarity and G color. 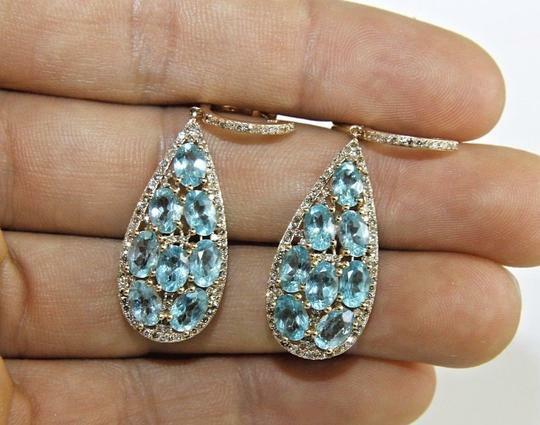 Here we see a set of two beautiful deep purple pear shape blue aquamarine cluster gemstones surrounded by brilliant round cut white diamond accents.